I am in need of a hybrid car/SUV. 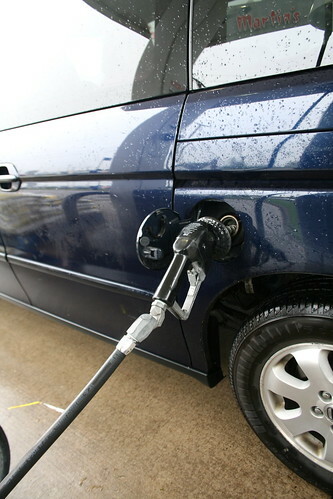 Today was the fourth time in less than 2-1/2 weeks I've had to fill up the van. It's because I am always driving someone somewhere and it's no longer within 5-10 minutes. It's now 10-15 minutes to get wherever we need to be. The POTD is nothing fabulous but it's part of our life today. And who documents getting gas? Probably no one. If you look through the window you can see where I got gas. And you can also tell we had rain, lots of rain.